Jurassic World – In Concert - Film Concerts Live! Film Concerts Live! Film Concerts Live! is thrilled to announce the new production Jurassic World – In Concert, featuring director Colin Trevorrow’s hugely successful 2015 movie presented in concert venues around the world, with symphony orchestras performing composer Michael Giacchino’s thrilling musical score live to picture. Starring Chris Pratt, Bryce Dallas Howard and B.D. Wong, Jurassic World earned a staggering $1.6 billion at the box office, and currently stands as the fifth top-grossing film of all time. 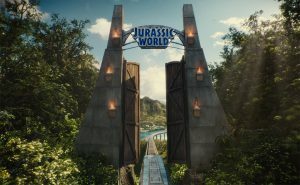 Set 22 years after the events of Jurassic Park, the Jurassic World theme park lets guests experience the thrill of witnessing actual dinosaurs. 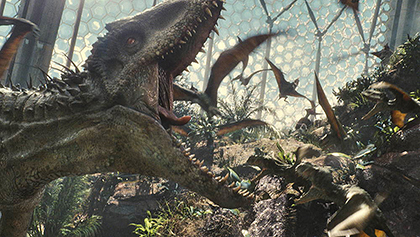 But something ferocious lurks behind the park’s attractions – a genetically modified dinosaur with savage capabilities. When the massive creature escapes, chaos erupts across the island. 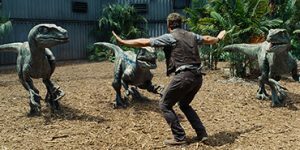 It’s up to Owen (Pratt) and Claire (Howard) to save the park’s tourists from an all-out prehistoric assault! Now audiences can experience this record-breaking film as never before: projected in HD with a full symphony orchestra performing the iconic score live to picture. Welcome to Jurassic World. And remember… if something chases you, RUN!